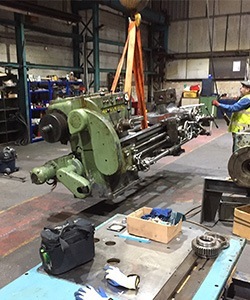 Based centrally in Yorkshire, Capstone Machine Tool Services are conveniently located to provide our machine tool repair services to industries up and down the UK. With over 50 years experience in the industry, our team of skilled engineers have worked on all types of machine tools, including the latest advance in technology. Being a family-run business, you can expect a friendly and personal touch throughout the process. 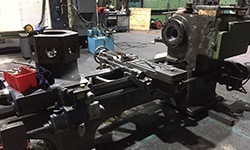 Whether you'd like to arrange for a fault diagnosis or schedule regular maintenance programs, Capstone Machine Tool Services is the undoubted experts. Between the engineering team, there are more than a century of cumulative experience, so you know you're in good hands. Do you require the premium CNC servicing and repair engineers in the UK? 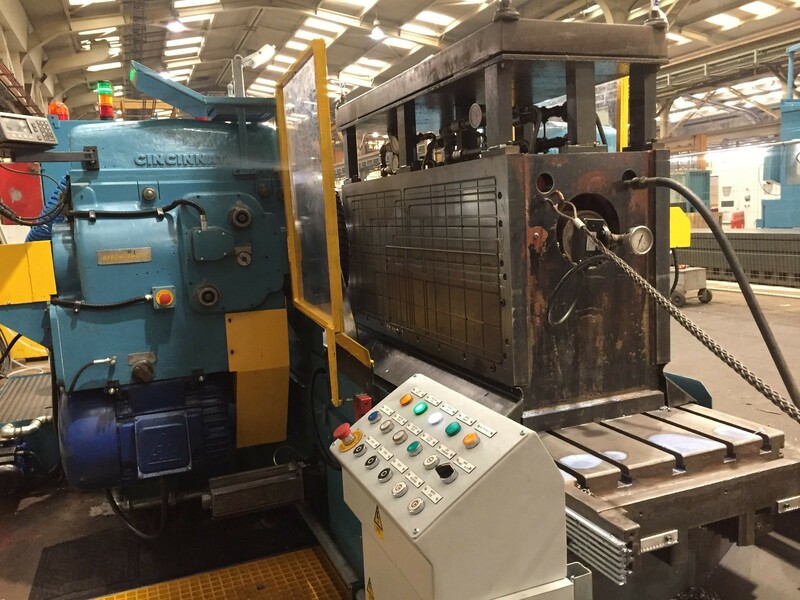 With over 50 years experience in the industry, we offer our machine tool repairs to industries up and down the UK. Since the development of Computerised Numerical Control in the 1940s, the technicalities have grown in parallel to the advance of technology. 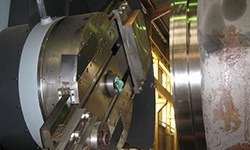 The automation of the machining process significantly improved the efficiency and production of precision engineering. Though it may sound technically intimidating, the CNC machine process can be applied to a range of industries, from metal fabrication to railway industry. Over the years Capstone Machine Tool Services has placed customer satisfaction at the heart of our business. By offering an honest and reliable service, we have built an outstanding reputation in Yorkshire and beyond. We have worked with companies of all trades and built lasting working relationships.Our CNC service engineers work all over the UK, from the Hebrides to the Cotswolds. We have continuously trained our engineers to the highest industry standard possible to offer a comprehensive service. If you have any questions regarding our services, please don't hesitate to give us a call on 01759 380833 to speak a member of our knowledgeable team. Technically speaking, a machine tool is a piece of machinery designed to shape and cut metals and other rigid materials. There are a wide variety of machine tools designed explicitly for different processes such as borers, milling machines and radial drills. All machine tools will have some form of constraint for the work-piece, and the process is carried out either automated or manually. Automated CNC machine tools require a 3D model of the product to be formed and inputted, while manually operated machine tools allow for more flexibility in the hands of a skilled craftsman. Borers: Borers allow the user to make precise and quick holes in a required centre. The advantage of a borer machine tool over a milling machine is a higher degree of repeatability and accuracy. A borer is capable of milling but is more commonly used to carry out reaming, boring and drilling work. Lathe: A lathe is a machine tool which performs a range of operations including sanding, cutting, drilling, knurling, turning, deformation and facing. The lathe rotates a work-piece on its axis to create objects which have symmetry around the axis of rotation. Milling Machines: A milling machine tool is used to remove material using rotary cutters. 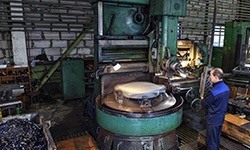 The scales of milling machines can vary according to the process required for the milling of small individual parts to heavy-duty gang milling projects. Radial Drills: Radial drills allow the user to create large size holes in a precise and efficient way. The radial drill is a large geared head that is moved in a radius from the machine's base. This allows the worker to work over large areas of space without the need to reposition the work-piece. 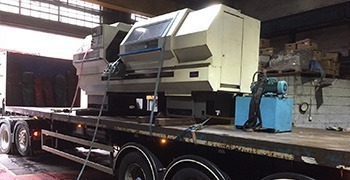 There are a lot of highly specialised moving parts in a CNC machine, and as we all know, a well-oiled machine is a happy machine. Despite known for their robust quality, regular maintenance and servicing of a CNC machine is the secret of expanding the long working life to its maximum potential. Similar to the annual servicing of a car, routine inspections can help identify failing components before they become the cause of a breakdown. Not only is it costly and timely to repair, but it could also potentially be dangerous to the user. At Capstone Machine Tool Services we offer a tailored service and maintenance schedule for business in all industries. Our team of specialist engineers can travel across the country with the necessary testing and inspection equipment and produce a detailed report for your information. CNC machine maintenance intervals differ between individual machine, dependent on their age, model and usage. Whether you have a single machine which needs servicing every five years or industrial production line which needs annual inspections, give your experts a call at 01759 380833. Due to their robust build quality, machine tools are known for their long working life and consistent performance output. Much like AGA Cookers, they are reliable for years as long as they are well-looked after. A refurbished machine tool offers excellent value for money with no compromise to the efficiency of the performance. Capstone Machine Tool Services are experienced in all types of machine tool refurbishment. 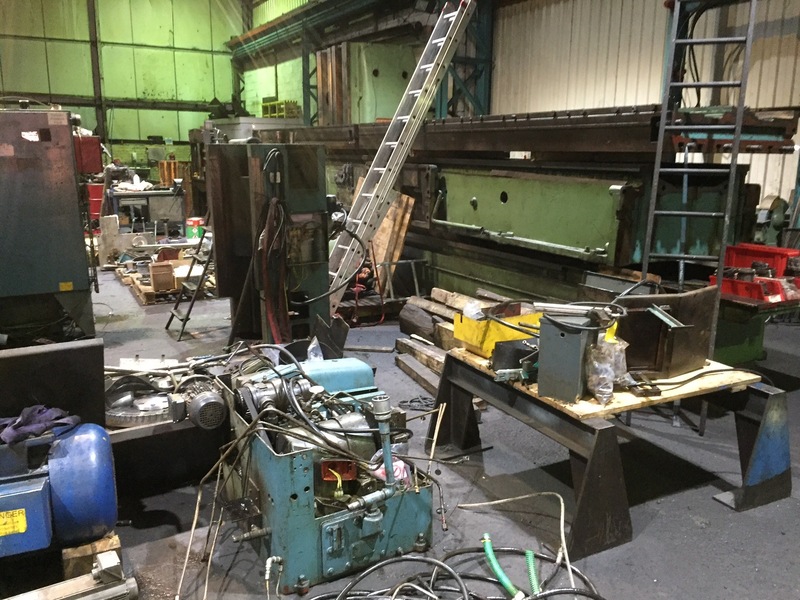 From our fully-equipped workshop in Yorkshire, we have refurbished machines for ages and uses. Occasionally, we do have a range of refurbished machine tools for sale- the list is ever-changing, so please give us a call at 01759 380833 for the most up to date information. The early prototypes of CNC machines required data input on a piece of perforated tape, referred to as "punch cards". Due to their superior build quality and long operating life, many of the CNC machine tools today still have tape readers. However, as communication technology developed, the introduction of data transfer by an external hard drive or local networking has taken preference. 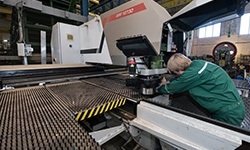 Capstone Machine Tool Services is proud to offer customers a range of CNC machine services such as repair, servicing, refurbishment and occasionally sales of refurbished machines. If required, we also offer an emergency breakdown repair service. Our specialist engineers will be on site at the earliest opportunity to diagnose and resolve the fault. We understand that your machine tool is a significant investment and the downtime could be costly for your business, so you can expect us to treat each job with respectable urgency and care. Our CNC servicing and repair engineers are the most skilled and experienced in the industry. If any parts are required during the repair process, we have fantastic working relationships with local specialist suppliers to source good quality parts. Our workshop in Sheffield is an ideal central location to ensure minimal delays in delivery of parts. 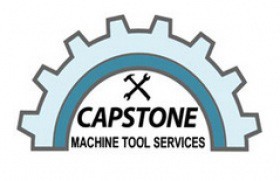 In addition to our repair and maintenance service, Capstone Machine Tool Services are experienced in offering additional services such as machine tool calibration services, efficiency diagnosis and long-term project management. One of the main benefits of CNC machine tools is the precision it offers. Routine calibration of the machine not only improves and maintains the efficiency of the performance, but it also helps to establish the ideal service interval for the machine. If you require CNC servicing and repair contact us today. Our engineers are trained and equipped with the latest technology to provide the most accurate calibration results. Like our other machine tool services, they are available to business of all industries up and down the country. 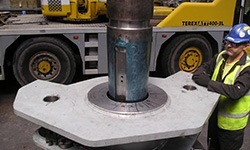 We have experience in calibrating all types of machinery, large or small. If you have any questions regarding any of our services, please get in touch on 01759 380833 to speak to a member of our knowledgeable team.